Saturday morning, as the smell of sweet coffee fills the air of our little “Foolish” establishment, one's eye could not resist but to be captured by the swirls of colors that graces our art wall. 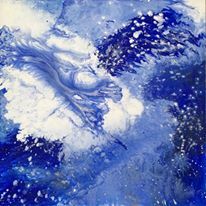 Be enchanted by the magic of acrylics as artist Laura Roderick transports you into a world where you can dance amongst the stars, be encased by a lush green forest, or simply drift amongst the deep blues of the sea. Supporting local artists is a great hobby of ours at Foolish Things, and Laura (who we see daily for her iced latte) happens to be one of our favorite creative minds to feature. Dabbling in abstract art for the past six years, Laura has fondly found her talent as an aid to her mention process. Describing her hobby as "the way my emotions get expressed," this specific collection was birthed out of a six month slump. This undefined process lets the painting come to life on its own, as the vast imagination of the mind is free to do its bidding without any visual representation defining the work of art. 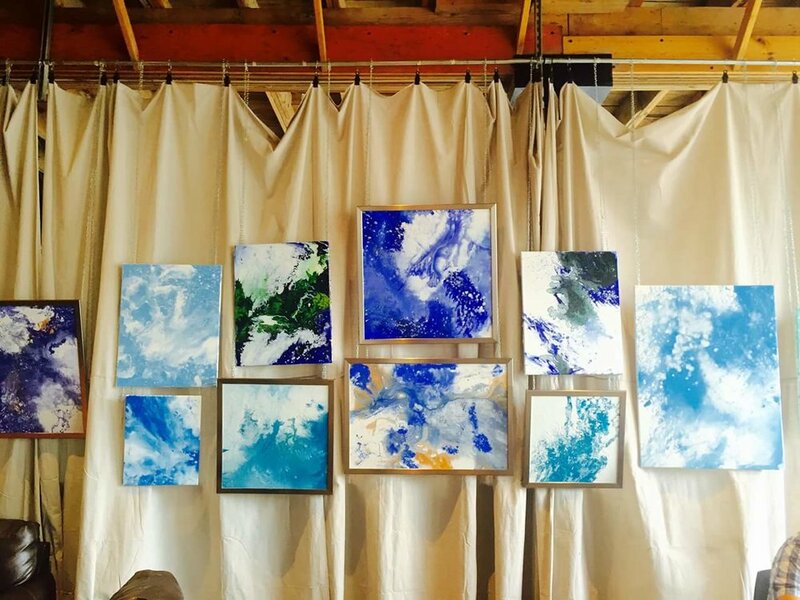 Although, Laura’s art blossoms out of the inspiration of her innermost thoughts, the products are abstract allowing for each viewer to have a unique experience with each piece. Working in lively, earthy color schemes she has found that viewers are often reminiscent of the beauty of nature when admiring the canvas; these guest interpretations happens to be one of Laura’s most favorite parts. We are honored to hold captive Laura’s collection for the next month, however all viewers are welcome to enjoy the showcase or even take one home as each piece is for sale. We always desire to help publicize and support local talent here at Foolish Things. So if you’ve found your hands full with original art, please contact our art coordinator ben at ben@foolishthingscoffee.com to set up a month dedicated to celebrating your individual talent!